Newent Community School, Picklenash Junior and Glebe Infants are today celebrating achieving the Gloucestershire Healthy Living and Learning Mental Health Champions Award. 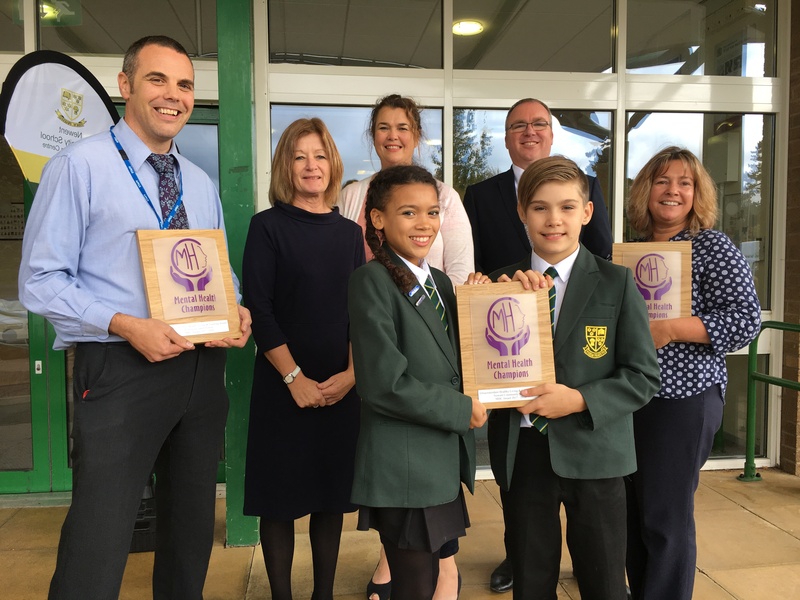 Newent Community School is the first secondary school in the county to achieve the award and Picklenash and Glebe are one of only a small handful of Primary providers in the County to do the same. “We are delighted to receive this recognition of our outstanding practice in this area. Colleagues across all three schools have worked hard to ensure an exceptionally wide and effective range of initiatives to support young people’s mental health are in place”. In order to achieve the award, the schools had to devise and implement an effective programme for supporting both students’ and staff mental health. At the secondary school this included the One Act of Kindness Shared scheme, involving students considering and practising the benefits of being sensitive to, and connecting with, others through small but significant positive gestures. At Picklenash, initiatives included a whole school sports mentor scheme to highlight the benefits of play and exercise for mental well-being and encouraging older children to support younger peers to engage with sporting activities. The award was made by Fiona Quan-Lead for Health and Wellbeing (Education and Learning) Services for Children and Young People on Friday 13th October 2017.